The field for the 43rd US Open 9-Ball Championship will be set at 256 players, with over half the available spots already filled. 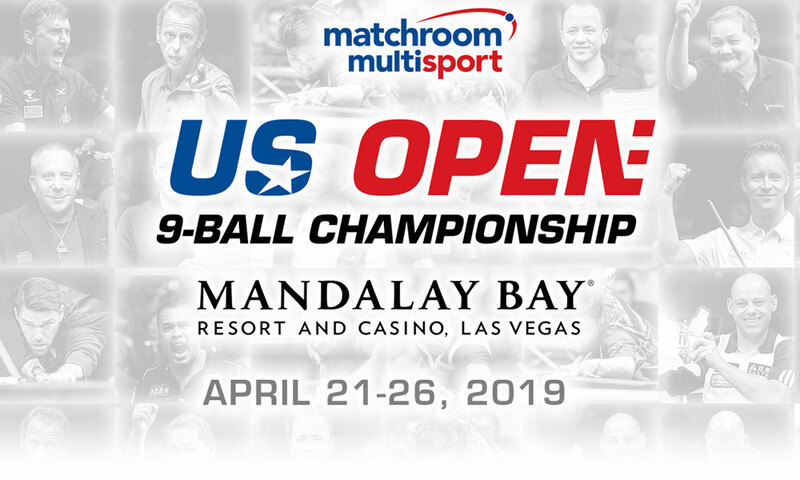 A total of 116 players have already submitted their entry, with another 60 spots reserved for worldwide qualifying tournaments, and more qualifiers expected to be added soon for the first US Open under the Matchroom Multi Sport banner, to take place at Mandalay Bay Resort, Las Vegas from April 21-26 2019. A full list of the players already entered can be found at www.matchroompool.com, where details of all qualifying matches are also available. Further qualifying matches are expected to be added in due course. Players can register their entry now at www.matchroompool.com/usopen9ball/. Players can pay the $1,000 entry fee in full or opt to pay a $250 deposit to secure their spot with the remaining $750 to be paid by January 31st 2019.